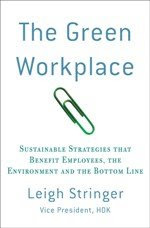 The Green Workplace: Reducing your waistline (and the bottom line, too). Reducing your waistline (and the bottom line, too). Great news out of San Francisco earlier this month: Mayor Newsom is mandating healthy eating! In a new executive directive, the mayor requires an inventory of all public property that might be used to grow healthy food (and provide jobs potentially), as well as mandates that city employees now provide healthy food options. This includes providing food that is safe and healthy, culturally sensitive, and sustainable. The program requires not only healthy food choices in cafeterias and at catered meetings (goodbye chips, hello veggies), but also healthy choices in vending machines, and acceptance of food stamps at farmers markets. Yes, we should all be able to make those choices for ourselves without the government forcing it, but, you know as well as I do how hard it is to pass up a plate of brownies in the kitchen! Mmmm brownies! Many props to San Fran for making it easier to make healthy choices.